Wow, another award! They just keep coming in…. 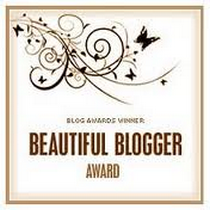 SR at To Have Her Heart has awarded my blog with the Beautiful Blogger Award! I am happy to accept! Now there are three things you have to do when you receive this award. 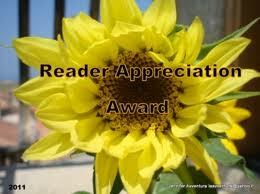 First, you post the award image on your blog. Then, the fun part is that you get to pass this award on to other bloggers. But first, I need to tell you a few things you may not know about me! I’ve done this with the other awards (I’m so flattered) so I’ll try to come up with something new. 2. I was raised Lutheran in an anti-catholic home, but secretly admired catholics and always felt I was spiritually wired as a catholic…I love the devotions (not worship of) the saints and liturgy of the ancient church and now feel I’m “home” in the Anglican church with its rich Old English language of the 1928 Book of Common Prayer, the chants, traditional hymns, and the embracing of the catholic faith and the real presence of Christ in the Eucharist. But I also have a deep respect for those of all denominations and people of all faith. We’re all destined for the same home. 3. I had a motorcycle when I was 17, crashed it on my first ride, broke my ankle and had a concussion and now I don’t much care for motorcycles. 4. I’m addicted to chocolate and most food items where sugar is the main ingredient. 5. I’m a girly girl…love purple and pink and cute shoes (and these pretty blog awards too). 6. My daughter, Betsy (also a girly girl who shares my love of pink and shoes) and I just came up with a really cool plot for my next novel…actually, it was a story I’d begun years ago, that Betsy always loved and recently reminded me of. It’s lost in some old computer but we’re excited about the plot that we recalled and brainstormed about together until we both got goosebumps…and now Betsy wants 50% of the profits because she’s sure it will be a bestseller…lol! Now, the really fun part — giving the award to others! Here are some deserving inspiring blogs…do pay them a visit! 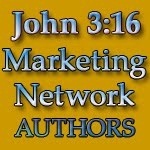 Diana Symon’s Blog: Christian writer, thinker, dreamer. Thanks!!! What a great new friend!! But of course! Your so amazing they magnatize towards you! Congrats! 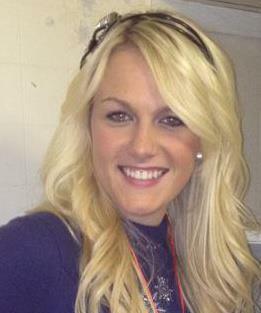 Congrats, Holly! And, thanks for the blog recommendations. I’ve had a lovely morning hopping among blogs … being immensely inspired and encouraged. Loved your recommendations! Thanks Sharon! Some great blogs. Have a wonderful weekend! Sure! I’ll go clean off a shelf. Lol! You might have to – great work. I appreciate what you share with us and enjoy what you offer! I’m glad I found your blog via the A to Z Challenge. I enjoy reading it. Your welcome. Glad to have found yours too! Thanks for sharing that. So… you are Anglican, or Catholic, or…both. Sorry, I was a little confused. I didn’t know any Anglican churches had re-unifed with the Catholic church. Please tell me that happened! Well, there is that process going on, but we are Anglo-Catholic, embracing pre-vatican Catholicism stemming from the Church of England. We are a traditional Anglo-Catholic church body.